During our research for Vampire Over London: Bela Lugosi in Britain (Cult Movies Press), Frank Dello Stritto and I were fortunate enough to be able to trace and interview many key members of the cast and crew of Bela Lugosi’s 1951 revival tour of Dracula. When our book went to press in August 2000, however, there were still several who had defeated our efforts to locate them. We continued our research into Bela Lugosi’s British film and theatre work after publication, and eventually amassed enough new information to warrant producing a revised and expanded second edition. 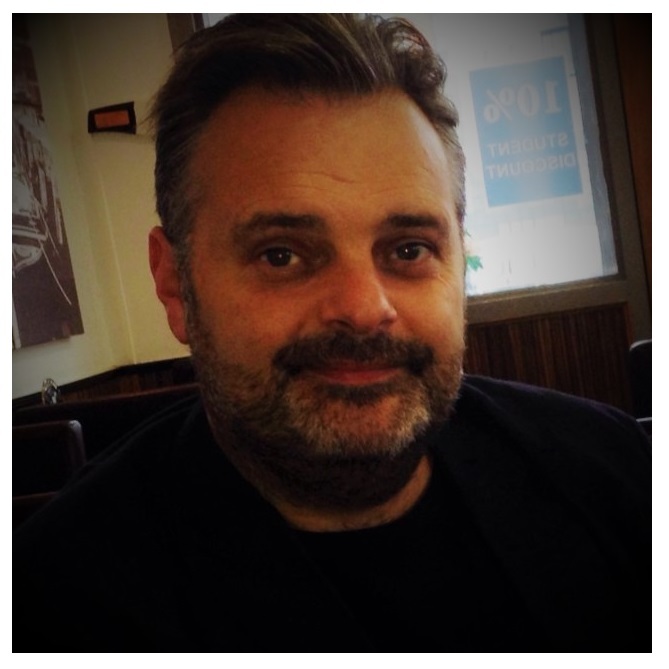 As we were preparing the new edition, we were contacted by writer Marcus Brien. He had been introduced to Ann Coupland, a member of the Dracula company who had continued to eluded our efforts to locate her. Ann was the effects manager during the early stages of the tour. Although Ann seemed to have vanished into thin air after leaving the company, she was in fact in plain view. One of the difficulties we had tracing the female members of Dracula’s cast and company was that we often had no idea if they had married and therefore changed their surnames. Thanks to Marcus, we learned that not only had Ann married David Croft, one of Britain’s most famous TV sit-com writers, in 1952, but she was also used the name Ann Callender (Her mother’s maiden name) professionally. After Dracula, Ann continued working as an actress in the theatre and on television for several years before becoming a TV presenter. She later embarked upon a successful career as an agent. Marcus interviewed Ann at her home in Suffolk on a crisp winter’s day in December 2013. The study where the interview took place was the very room where David Croft created his numerous award-winning sit-coms. Marcus recalled that he was reasonably relaxed until he realised he was sitting three feet away from a BAFTA! 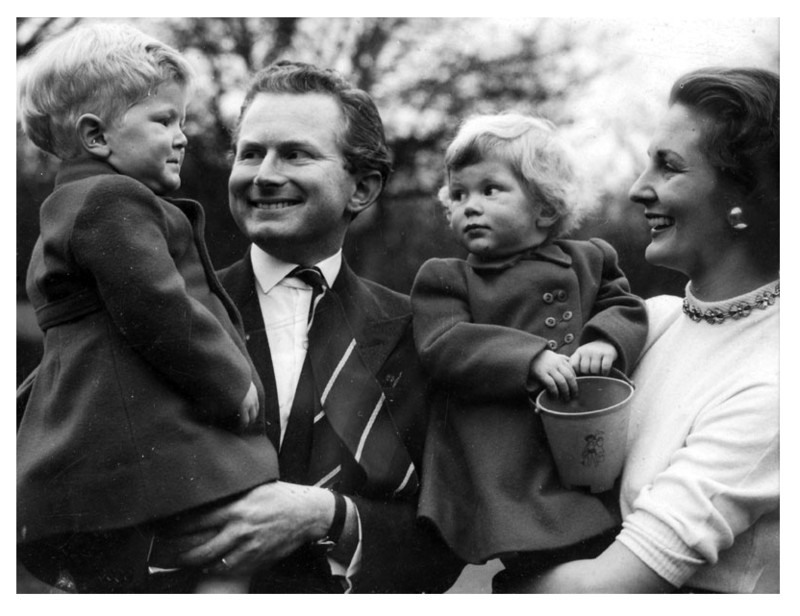 He found Ann to be warm, interesting and frank with her recollections of the 1951 tour. What stood out for him was the admiration she had for Bela Lugosi as a professional and above all as a human being. He was kind enough to ask Ann some questions on our behalf and generously shared his complete interview with us for our second edition, which was published in July, 2015. 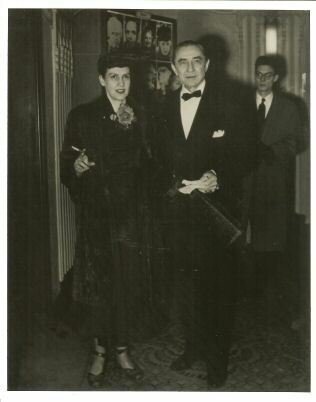 After the interview he presented Ann with a copy of the first edition of Vampire Over London: Bela Lugosi In Britain, which now sits proudly in her study alongside her signed version of Dracula, signed by the cast and crew of the 1951 tour, including Bela and Lillian. AC: (Laughs) Not at all I am delighted to see you. MB: Thank you. Do you mind if I start by asking how you got into theatre. What did you do when you had left school? MB: I think you’re…well you’ve still got an air about if you don’t mind me saying….you have. AC: But anyway, he was very nice and I don’t think really obviously that they had any children of their own and I would have been about nineteen I suppose….and he was very, very kind….I had no knowledge of stage management whatsoever. Joan…Joan…I can’t remember who it was who was the….Peter Whelpton was the General sort of Manager and he became a travel agent…travel writer afterwards. We got on very well. I think it was an experience which I am very glad I had. However I wasn’t entirely sure I was learning a great deal about what I thought about as show business, which was very much. The National didn’t exist in those days, so it was The Old Vic or whatever or Comedie Francaise, which I’ve done as well. MB: What would you say, that at that time I mean we were literally what six years after the war, was theatre, was entertainment, was it a much needed release or was it a self-indulgence at that time in terms of people being able to afford to go to theatre? AC: I don’t know….it did quite well. Golders Green was actually a very good week. Finsbury Park was a good week. Lewisham as I explained earlier was certainly not a good week. Three artist, I mean three members of the audience and a cast of oh I don’t know what it was…ten or eleven. The other members of the cast were not in agreement with Bela, about playing, they thought that was absolutely ridiculous. ‘Give them their money back’ is what was generally said by the others. But he was the Star and what he said – went. I was actually in great sympathy with him, because I thought of these poor three people sitting in the front row. I did ask permission not to have to go and scream but I didn’t get it. (Laughs) I still had to go and do it. MB: Can I just recap as well….so you joined the tour and you would have had the rehearsals Mid-April probably time? MB: And then when did you actually leave the tour? AC: I don’t know…..I was out for about ten or twelve weeks I think. MB: And would you mind recounting the story again of how you left the tour? MB: Of course it is. 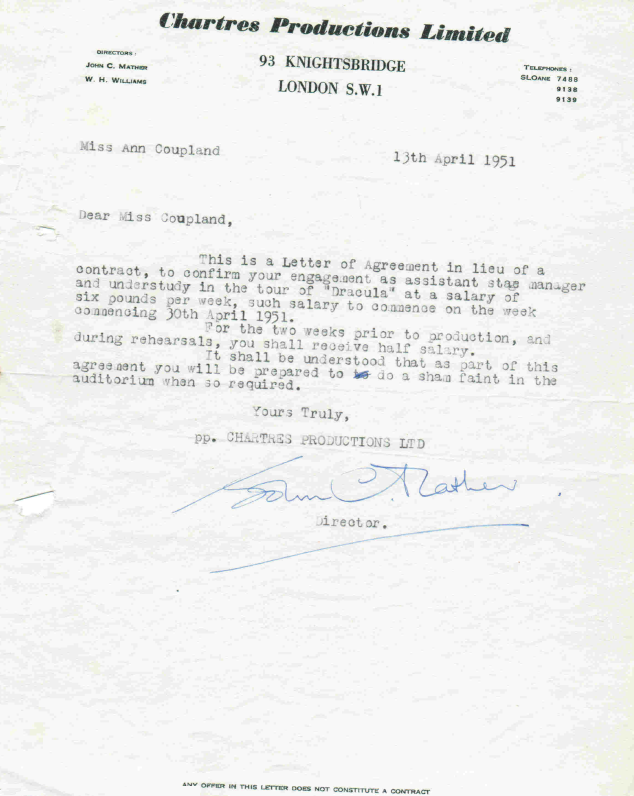 AC: I kept my contract for years which, cause it was very amusing or at least I thought it was and it said if I was going to work for my £7 a week or whatever it was…to do the effects managing which involved the use of the….can’t remember what they called it……The Gun! I said that I didn’t know much about effects managing, but I thought I was a quick learner and thought I would do well there. I’m trying to think if that was…..did we open at Theatre Royal Brighton? MB: Yes. Yes you did. The tour started in Brighton on April 30th. AC: Because I had to….in those days Equity wasn’t all that strong and it did take a lot of rehearsal so we did run over our rehearsal time a lot. Then on one occasion they weren’t very happy with some parts of the scenery and John Mather came and said, ‘Well you can’t go back. You are going to have to paint a bat on a drop sheet.’ I said, “What?” So he says “The big drop sheet that comes down. It’s got to have this big bat on it.” So I said, well I didn’t really know what a bat looked like, a mouse with wings! So they gave me some sketches and then they all left me alone in a haunted theatre, to paint a bat on a……they were called gauzes, that’s right. The only trouble was nobody had explained to me that, erm, if you put water on the gauze…it shrinks! So I had painted this large bat, which wasn’t too bad. Went and made myself a cup of tea in the dressing room, came back and the bat was like all this…all twisted up. Because, of course, I hadn’t weighted. What you had to do was weight the gauze before you painted the bat which I hadn’t done and of course it had dried off half…it was no good me putting weights on back onto the thing. John Mather was not very pleased, he said it had cost him a lot of money. The other thing I had to do (laughing) was to throw bats on stage on sticks on wire. MB: I’ve heard of that (laughing) there’s a few stories of that in the book (Vampire over London). AC: It had a bat on a wire on a stick and you had to stand on the side and when the bat used to come round, its head used to go like this and it would come in and go shhhhheewww and off. Only one night I wasn’t very quick and I got it wrong and the big four poster bed that Lucy was in, this bloody bat flew round and round the four poster bed and died and stopped! (Laughing) when the wire ran out it couldn’t go any further. MB: Well it was a dead bat at that stage you know. AC: Again, Bela thought that was very funny and Lillian was in hysterics. AC: Peter Whelpton was not amused at all because the audience could tell there was something not quite right about this. So they just had to play the rest of the scene with this bat, hanging like this on the four poster bed. (Laughing) It had obviously died. That was quite a funny memory actually. MB: I mean, what an education for you. AC: We learnt an awful lot. This gun thing you had to fill with glycerine. You plugged it in, left it on the side of the stage and heated it to a certain level when a little red light would just come on. Then you unplugged it, pressed this button and these puffs of smoke came out. And gosh it’s a funny thing to remember….I was very nervous on the opening night, I had a lot of difficulty with this gun, I had too little smoke or I had too much smoke. They were getting a bit impatient with me, but unfortunately on the actual opening night and Bela was making his first appearance. The arms are out like this and I was behind, up his cloak at the back, and I’m puffing this smoke you see that went all around. So he went on but you could hardly see him. Because there was an awful lot of smoke. I was very worried about this so I put the gun down but I didn’t switch it off. So the smoke kept on coming (laughing). The first five rows of the audience (laughing) couldn’t see anything at all. They had to open windows. John Mathers was not very pleased about that either, that was the actual opening night. I think that’s why they grew so found of me, because there were so many little silly things that happened. It did cause a lot of amusement. MB: I think he probably admired in you, what he did; just got on with things and acted. AC: That was the start of the show. As a cast we got on quite well. The one who played Van Helsing – wasn’t very good. He wasn’t a very good actor, I mean and Bela thought he wasn’t a very good actor either. MB: I think it was David Dawson (incorrect, it was Arthur Hosking) at the start and then Ralph Wilson took over. AC: And I was a bit disappointed to be perfectly honest. It’s one of the lead roles and it’s terribly important, and it was, in my opinion, as if he was reading from his script all the time and not giving Bela the build-up that he required. MB: Where you aware at that time that his vision and hearing wasn’t the greatest? AC: I knew his hearing wasn’t very good because my father happened to be deaf from the First World War. So of course I had a big voice and Bela never had any trouble hearing me. Not that that happened on the stage as I didn’t appear on the stage with him as such….other than under his cloak! (Laughing) But I did know his hearing was bad, I did not know…you say his sight was bad as well? MB: His sight, yeah I mean he never let anybody see him in his glasses, and he always apparently had a script. Always read the Dracula script apparently, even before a show, I don’t know if you recall that? But literally during rehearsals he would be dependent on people’s movements for his cues, at times. So he would know when they had finished saying something, rather than the actual words. AC: I don’t remember that on that tour at all. I know he always used to say, as I had to cue him a few times on various things, he used that he was a little hard of hearing and he was very grateful that I had a voice that carried. So that’s rather…not pronunciation…what do they call it…projection that’s it. MB: Did he ever discuss acting with you personally? AC: Yes, yes on a couple of occasions. He asked me what I wanted to do and I said well I suppose what I really wanted to do was go back to the Old Vic, but not as a spear carrier or understudy. And play in the West End Theatres. 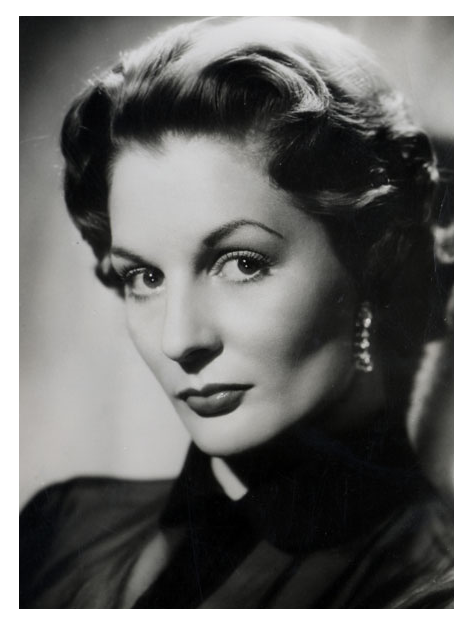 I understudied Vivien Leigh in (inaudible) something like that. Well I was a what they used to call a walking understudy for Tenants who were the big producers at the time. It was a regular job, I’d just had a child. And I think I never played….I played for Barbara Braiden in…what on earth was it called…all about commercial television, was a big success on tour. It was by Jerome Chodorov and Joseph Fields….Anniversary Waltz. It was a massive success on tour. When we came into the West End we under-ran 25 minutes, on the opening night. No laughs! The critics and the West End audiences those days, they often came to the theatre in Dinner Jackets and those things. They just didn’t think it was funny. It was wrongly timed. It was all about jingles and commercial television and we didn’t have jingles and commercial television in this country. So the rather smarter people, the other people saw it for what it was, which was a rip-roaring farce. But the smart people who came to the opening night, they didn’t, they all said what the hell was it all about? You know there was lots of laughs at Persil washes not only clean but white and that sort of thing. But before anybody had heard it here. MB: So it was a bit before its time? AC: Yes it was before its time. He came to my Dressing Room, Jerry, after the opening night. And it was Joan Winmill who was playing…..she also played the sort of little friend in Anniversary Waltz as well. That was a Tenants Production. MB: Joan Winmill was the maid in your tour of Dracula. AC: Yes she was. Anyway, talking about Bela: that’s what I told him I had wanted to do. I didn’t want to be a walking understudy, but I wanted to work for Tenants. MB: Did he encourage you? Did he offer you any tips or advice? AC: Oh very much so. But he said you must always remember that acting is a job, like any other job, and you bring your best attention to it. It was a phrase actually that David used many years later – Work comes first. If work doesn’t come first, nothing else comes afterwards. And I think that’s absolutely true. Because you can’t pay your digs, because if you’re not doing any acting you’re not going to…. MB: There’s a lot to be said for that…nothings for free? AC: I think that also…..because he could hear me….I hadn’t really realised that particularly at the time. He and Lillian used to spend a lot of time with me. Which again I don’t think the rest of the cast…thought it was a bit strange. MB: Did you know at that time that they had a son that they had to leave back in America? Bela Jr, and he was in a Boarding School. But literally one of the reasons they came over (to the UK) was to make sure…. AC: Was to make sure he could pay his fees…. MB: Yeah…you know work…work comes first. And obviously that caused a lot of heartache I would imagine for both of them. AC: That’s why they probably liked a 19-year-old – still a very young person to them. So they used to take me out for coffee and things like that. MB: Yeah…would you mind me asking how did you see their relationship? Did she mother him…. AC: I have to say that you surprised me, when you said they divorced about two years later? MB: Yes it was in 53 I believe. AC: The impression that I got, was that they were absolutely devoted. She was very…mother hen towards him. She was always in the dressing room. Peter Whelpton used to say, “Lillian’s absolutely marvellous, she helps with the dressing and everything else. But he said she’s hardly going to let you do it is she!”but I’m not quite sure what he meant by that, whether she thought he might pat me on the head or something like that. He was never left alone with me, except on one occasion when we hadn’t got a spare cloak handy as I burnt this damned great hole in the first cloak. Lillian went off to find a replacement cloak. He was so nice about it, but he bought his own cloaks you see. MB: How many did he have then? AC: Three. He had three and I burnt two of them. I’m not sure if I didn’t burn three and they had to get another one from America? Cause he always, that cloak was very special. AC: Well Lillian didn’t leave us alone very much I have to admit. MB: There are also lots of stories of him being very controlling over her, as in he used to tell her what to wear as well. But I think it was very much to do with his Hungarian background. AC: I have to say I never noticed that particularly. Not that we spent any great length of time when we went for a coffee, would be forty minutes at the most you know. You didn’t have coffee bars like today, it was some American ice cream parlour type things, particularly in Brighton. I didn’t notice him being authoritative with her at all. MB: In public, I think a lot of people say that she was mother hen, she would even cut his food up for him and you know…I think it got to the point where they had that type of relationship where…well I think…the opinion that I’ve formed is that I think she saw a lot of people take advantage of him throughout the years. He wasn’t a good businessman when it came to money, he would just do work for the sake of it, just to keep working. I think she saw that and she tried to keep him away from people like that? And I believe from the book that you’ll read there, Ann, (Vampire over London) is that John Mathers had great issues with her. The rest of the cast loved her, but her and John Mathers didn’t get on at all. MB: So I think she felt he was being taken advantage of. He was an old man, he wasn’t well…he..
MB: You were Non-Compliant let’s say. (laughs) This is turning into a book about something else here Mrs Croft. What a fascinating period for you. Can you remember of hearing when Mr Lugosi passed away? AC: No I only read it in the papers. I think it may have been Peter Whelpton rang me, and said had I heard and at that time I hadn’t, but it was then in that day’s paper. So he said to me at that time; well he (Bela) was still working. I don’t know what he was doing, he was half way through a movie or something? MB: He was working with a gentleman at the time called Ed Wood. AC: Oooo…he had the reputation for making the worst movies that were ever made. Some are shown at the Film Institute now, as examples of what not to do. MB: I think they’re really good myself (laughs). AC: I don’t think I have ever seen any of them. And of course he kept Bela in for the first half didn’t he? And then had a stand in for the other bits, you never saw Bela’s face again at the end of the movie it was always the shadow and the arm. AC: Yes…I remember one day mostly. I’m trying to think of the dressing room. He had an armchair, quite a high one, but you didn’t see him struggle to get out of it or like that and it wasn’t a chair like this. I’m trying to remember….there was slight tendency to suffer from headaches. Or Lillian….oh how interesting it never occurred to me in anyway whatsoever….Lillian had the phrase, “Oh Dear I think Bela may have one of his headaches.” Well maybe that was so if I saw him taking pills I would think it was for a headache. Or if he was not looking so good and I thought and now you’ve mentioned it, God it takes me right back. I just dismissed it as migraine. I thought a lot of actor’s suffered from migraine. So I never noticed the difficulty with the moving, because on stage it didn’t show at all. And off stage by the time he had struggled out of the cloak, you wouldn’t have noticed either. And as we never went out for dinner after the show, I mean on our own, we had a couple of occasions when the cast went. Well, again I wouldn’t have noticed, but if we had gone on our own I would have noticed if he’d limped or something, but we never did, so…. MB: I think they used to call them “the lightning pains” where it would come and go and like I said there was one scene where he grabbed Eric Lindsay around the throat and couldn’t let go. And I think he put everything into…. AC: That sounds more like rheumatoid arthritis because sciatica is in the main sciatic nerve. It shouldn’t affect the hands. MB: I think he was in that much pain as he hadn’t had any medication for it that everything just froze up, everything froze up in his body in the middle of a performance. AC: That probably frightened him, he wouldn’t have liked that. Because the audience was everything you know. MB: Do you ever remember him talking to any of his younger fans? There’s a great story in the book about a gentleman called Derek Pickering who came to see him and he said he treated children like adults. Bela himself has worked from the age of 12 and I think his young fans were, he would treat them like adults. He would listen to them, he would show interest in them. AC: Never noticed that particularly. But we didn’t have a lot of young people in the main. I don’t know whether it was John Mather or not, but nobody was allowed back stage. You were talking earlier about people bringing in programmes to be signed or the effects manager or the stage manager bringing them in to be signed. I don’t remember that at all. I only remember the stage door where people, well I suppose it all depended on your stage door keeper. But I never actually saw him talking to young fans, but I can well imagine as he was extremely kind, well at least I thought he was. So I can well imagine that was the truth but I never personally saw it, because I know Lillian would try and get him back to the hotel as quickly as she could. Which is one more reason why you didn’t have dinner after the show as much as anything, but he was obviously in pain. AC: I didn’t, I thought, it was just Lillian not letting him get too tired and the cold in Middlesbrough or somewhere like that. He wouldn’t want to be standing outside signing autographs, or having a conversation. I’m not saying he didn’t, he always signed autographs for anybody. If he was in the street or anything else, nothing was too much trouble in that respect at all. It never occurred to me but I did wonder sometimes, why we didn’t go and have meals after the show, because most people need that hour and a half to wind down. Because Lillian mothered me, I suppose, it’s funny, it never crossed my mind, they used to take me for tea, but they’d never take me to dinner. But I think she would be fussing around him and saying “enough now, enough now, get back to the hotel because you must rest.” I can remember that quite distinctly, but remember I was nineteen and he was sixty-nine. So sixty-nine at the time was very old indeed, in fact actually it was quite old for the period of time. People now live into their 70s, 80s, 90s and 100s, so sixty-nine doesn’t sound very old. People now start new careers at that age now, but to me at that time in the 1950s, or just in the 1950s, it was considered quite old. MB: And that’s what fascinates me, is that, how he kept going and I think 280 shows in a five month period, and he never missed one. And you know I really do think the pain, it was pain management I think and I think she was doing that for him. AC: I didn’t know, obviously, but now that you’re coming to talk about it, these were things that happened or didn’t happen, I never gave it any thought at all but I put it down to the fact that he was not a young man. And he needed plenty of rest if he was going to do a show that took out as much out of him as it did. MB: I believe for other personal appearances, fetes, summer fetes, he used to ask other cast members to go on his behalf. He did a few but like you say the rest in between was obviously vital to him. Can I just recap on a couple of things you mentioned earlier on? You are the only person in the world who has burnt two Bela Lugosi capes….possibly three (Laughs), you used to have your hand between his legs (laughs) under his cape. When he performed can I ask did he frighten you, I know it’s a huge jump, did he have that look, the eyes that a lot of people talk about? Did he, could you see a change in him? AC: Oh you would see the change. But Alec Guinness was the same, he used to come down and if I was standing back stage, he would look, he always had a mirror near the top corner and he used to come down and stand and look in the mirror. He always came down three minutes before he went on. And he would go and stand for a full minute, in front of the mirror, staring at himself. And I asked him once why? So he said you’re having conversations in the dressing room and depending on the type of role, you need to become that person. That’s what being a true cypher actor is all about. And the way I could do this was taking just a moment or two, to get out of myself and into the character that I’m playing. Now to think of it, Bela in a way did that, not staring at himself in a mirror but he always, because I was always with him for about five minutes before he went on, whilst we were testing these damn things (smoke gun.) And yes he did change, he started to stand up properly, the eyes did narrow. But as far as I was concerned it was just him getting ready to the job. So I was never ever frightened. MB: And you studying acting would know it was just a character change anyway. I think for the likes of me as a fan, I think I would have been there wide-eyed in the audience if you know what I mean. MB: That’s the amazing part of being involved as you were. You’ve got your perspective on it, when the rest of the world, we see it what everybody else sees. Where you had a one unique perspective on that and I’d rather your perspective on that. What happened to you afterwards then, after the tour? AC: I got married, I did, as I said I did the walking understudies. I had two children by the time I was twenty-two. Then my husband went up to open Tyne-Tees Television, so I went with him. I used to do a programme with Kenneth Horne called Trader Horne. I did that for a couple of years, then I had three more children in quick succession and I started coaching for Associated British (inaudible) – starlets and things like that because I was qualified to do that. So I never really acted again, then in 1964, my husband’s agent which was man called Richard Stern, had been Chief of Combined Services actually, coming back to what we were talking about before and he heard me talking about a singer that we had Chris Langham up in Tyne-Tees. He said to me have you ever thought about being an agent? And I said no, I hadn’t. So he said think about because, I’d quite like you to come and work with me and I think you would be rather good at it. So I said thank you very much, anyway I then had a contract with ATV in Birmingham. I was a television presenter and I did this programme up in Newcastle, I was on fifteen shows a week. I did the one o’clock show, all the historical shows, Guess Who, used to share a dressing room with Jimmy Saville. MB: One question sorry I forgot to ask earlier, but for yourself it was 1951, a young lady, on tour, working. How was that seen by your family or other people was it…? AC: Nobody worried about it at all. MB: I can’t thank you enough for talking to me, before I go can I just mention one other gentleman who Gary Don Rhodes who has written this book here. No Traveler Returns. He is a Professor of Film Studies in Belfast. He is an American guy and he has written everything there is to know about Bela Lugosi. He is currently writing a book about his theatre tours and when I mentioned that I may have the opportunity to go and speak to you, he would be delighted, if he could ask you to write, if you would be willing, a Foreword for his future book. Because you are one of the few who are left that actually toured with him. AC: How many are left of the original cast? MB: I believe Eric Lindsay is still alive, Richard Butler who was in Four Weddings and a Funeral, he was the vicar in that. John Mather passed away but he went into a talent agency. AC: He was mostly in management, I think, he went back to being an actor…did he? MB: No I don’t think he acted, he became part of a talent agency. AC: Yes became an agent; those that do; do and those that don’t become agents! MB: One of the things he was involved with was casting Clint Eastwood who was out of work at time in the spaghetti westerns I think. MB: What was he like? Obviously he tried to chase you a few times. AC: Aggressive! Ambitious! Didn’t like anybody, whether it was Bela or not, saying no. He was trying to put the show on for not enough money. That I did know enough about show-business to realise. MB: Trying to do it on the cheap? AC: Very much so and I used to get talking to the stage door keepers, he was not a popular man with the managers of the theatres either. Very brusque. MB: So from that would you say that him and Lillian probably wouldn’t have seen eye to eye? AC: No they wouldn’t have done in fact they didn’t, I do know that. I think he meant very well but thought he would make a lot more money than he actually did. Everything was done on the cheap. There was no way, and really and truly in this day and age it wouldn’t be allowed, that they should have let me as a girl virtually straight out of RADA, work that gun. That gun was dangerous. But there should have somebody who just dealt with the gun. The person who dealt with the gun shouldn’t have been running around, pulling strings for pictures and throwing bats. It wasn’t, I didn’t mind but he expected everybody…a pint of blood you know literally. MB: One final question if I may and it’s probably a terrible question. It’s about Mr Lugosi. If you could describe him in a couple of words, what springs to mind? AC: Absolutely delightful. Yes I think so…well I know so actually. I was very sorry that his career had its strange ups-and-downs. I used to sort of watch out for the odd movies and things. MB: Just incidentally had you seen the screen version of the Dracula the 1931 film before you worked with him? AC: Yes. To John Mather’s credit, I think it was he who suggested that we did. That was his idea and it was the correct thing to do. It also built up the star image so that we all thought we were touring with a big, well we were, touring with a big star. It was the advice. MB: This has been fascinating and it has been a pleasure for me to meet you, full stop. I can’t thank you enough. AC: Not at all, an absolute pleasure. Marcus lives in Suffolk, UK with his wife Karen and baby daughter Orla. He is currently writing a screenplay on the life of Bela Lugosi. His friends Martin and Harvey Clarke thoughtfully arranged for him to meet their family friend; Ann Croft. Without them the interview would never have happened. Marcus’ earliest memories of Lugosi are in the 1970’s with his regular appearances in the BBC2 Horror Double Bills on Saturday nights. These evenings are also some of the only memories Marcus recalls of his own father, so his interest in Lugosi provides it’s own personal nostalgia. 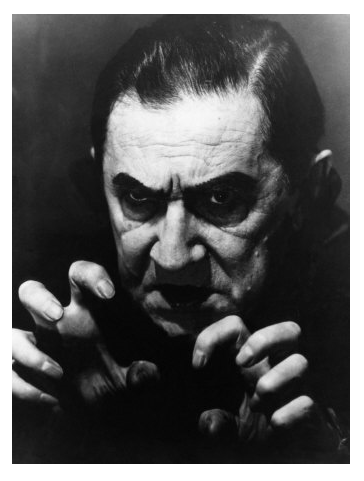 During his research for his screenplay Marcus has come to understand Lugosi as a person who always acted.